Traveling in America can be expensive. Its hard to find public transit and hostels are not common, and when you do find them, they are very expensive. 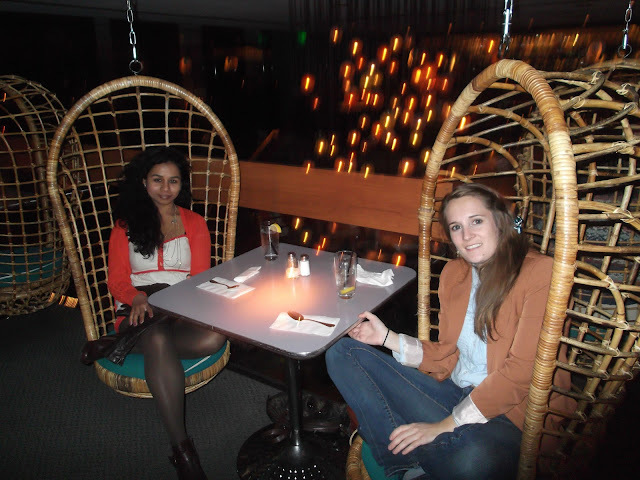 This last weekend I visited New York City and Boston with my Argentinian friend. I have a car so I drove up from my current home in South Jersey. NYC is amazing, but it can be intimidating. As you drive in the skyline takes your breath away and so does the traffic. With stop and go traffic on the bridges and tunnels you can be waiting for a long time. New Yorkers are not shy with their horns, so if you are looking for parking or street signs get ready for a lot of beeping, usually drivers know where they are going and want to get their fast. Parking is not impossible, although I recommend taking public transit. The Megabus and Bolt bus are cheap ($15-20) ways to get from one major east coast city to another. With hubs in Boston, New York, Philly and DC, you can move cheaply from one city to another. Amtrak, the USA train system, is a more pricy but comfortable alternative. When to visit? Unlike the West Coast, the East can get cold. The winter holidays are beautiful in New York with trees and building decked out in lights, festive window decoration in the stores and ice skating in Rockefeller Center. Be sure to bring a warm coat, gloves, scarf and a hat. In the fall and spring it can be pleasant. The fall is especially a great time to see the leaves change color. Summer can be humid and warm, but its a great time to visit the beaches and swim in the Atlantic Ocean. Many East Coats beaches boast beautiful boardwalks such as Coney Island, NY, Atlantic City, NJ and Ocean City, MD. NYC has a plethora of things to do. You can see all the famous sites, Statue of Liberty, Central Park, Time Square and so much more, but its at night when the city comes to life. With many clubs, bars, and lounges to choose from you can spend a months visiting. NYC is also know for its eclectic food. When you are there try the NY style pizza and bagels. Everyone says that the water from the Adirondacks gives the dough a different taste. Also try some of the multicultural food. SoHo, Greenwich Village, and the Meat Packing District are great places to get food and drink. Boston is a close trip from NYC. Its a 4-5hr drive from NYC. Boston is a university city with more than 20 universities and colleges and home to some of the top universities in the world. Boston is a quieter than NYC. Cambridge, home to Harvard University is a great portion of Boston to enjoy early American architecture and enjoy a walk along the Charles River. Close to Boston is Cape Cod. This peninsula that sticks out into the Atlantic Ocean is renowned for its seafood, especially the New England clam chowder and the boiled lobster. Its a bit pricy, but its worth every penny. With spectacular views of the Atlantic Ocean, great seafood and cute towns, like Provincetown, right at the tip of Cape Cod, its a great place to visit. Philadelphia, two hours south of NYC, is another large metropolis. The home of Rocky from the Rocky movies, and Urban Outfitters its bound to be a great city. Philly is a great place to walk around, eat and drink. Philly's Museum of Art will impress you inside and out. Its Greek architecture with pillars and detailed painted carvings will impress you as much as the art that is inside. The walk down the promenade towards city hall will take you by many more museums, decorative fountains and statues and many more architectural feats. Philly has a famous history. The city served as one of the first capitals of the nation and it was here that the Declaration of Independence and The Constitution was written and signed. You can tour Independence Hall and see the famous Liberty Bell. With many places to choose from it can be hard to decide where to eat. My personal favorite due to the interior decor and the amazing desserts under $5 is the midtown Continental. In the evening get ready for some dancing and drinking. Old Town and Midtown both have some great hang outs. If you love live music try the Electric Factory. Although I miss the West Coast, the East Cost definitely has its share of exciting things to do.